Virtus Windows offers 2-lite and 3-lite (shown) sliding windows. • Full 3 1/4” Depth Welded Mainframe with beveled colonial exterior features curves that are not only beautiful, but also allow for maximum weld surface resulting in exceptional strength and years of long lasting performance. • Heat Seal® Glass System offers thermal efficiency for fuel cost savings in any season. • Full Integral Interlock with double weather-stripping. • The Optional Auto-Lock features an exclusive automatic locking system which is easy to engage. • Heavy Gauge Fully Extruded Handles on both sashes. • Fiberglass Mesh Half Screens standard on all windows. • Available in Replacement and New Construction applications. Standard factory bumpers are installed for a quieter operation. Push Button Spring-Loaded Vent Latches allow both window sashes to remain partially open for ventilation. 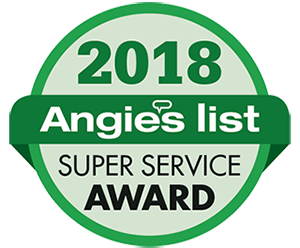 Angie’s List 2018 Super Service Award Winner 8 Years in a Row! We are honored to be the chosen recipient of this award for the years of 2011, 2012, 2013, 2014, 2015, 2016, 2017 and now 2018. Thanks to all our customers for making it possible! Learn of promos and sales on our products and services, plus fun and factual tips. Serving Dane County and southern Wisconsin. Replacing your windows can be confusing. Let us help you navigate through the process. Thinking about remodeling your kitchen or bath or office? Get a free estimate with some beautiful custom Amish cabinets. Visit their website and tell them Jordan Exteriors sent you! !